Nursultan Nazarbayev had ruled Kazakhstan for the last 30 years, and for the last 10 of those, the topic of whom he would hand over power to had been actively discussed. Nazarbayev turns 80 this year, and understood perfectly well that if he didn’t find a successor soon, he would die on the job. When his longtime Uzbek counterpart Islam Karimov did just that in 2016, Nazarbayev began to take action. Since choosing a worthy figure was not an option (Nazarbayev received 97.8 percent of the vote in the 2015 presidential election; there is no one who could even come close), the president — who retains the honorary title of Yelbasy, or Leader of the Nation for life — dusted off the largely forgotten security council, and in one deft stroke made it the country’s main political superstructure. Now all the nation’s siloviki report to the head of the council, and even the president is not really authorized to make decisions that affect its agenda. Prior to his resignation as president this week, Nazarbayev had predictably become head of the security council — for life. Following that, the post of president had largely become an encumbrance. His status as head of the security council provides him with a separate lever for controlling the country’s repressive machinery, while his status as leader for life of the Nur Otan ruling political party gives him control over lawmakers. Given his other positions of power, Nazarbayev’s announcement on March 19 that he was resigning as president was far less dramatic than it may have appeared. The Leader of the Nation himself made it clear that he was going nowhere, telling the nation: “I will be with you until the end, I will continue to serve.” He also said publicly that he himself would decide who will be the next president. Indeed, it was the need to buy more time to decide on a successor that necessitated the format of Nazarbayev’s departure. The president had swept away anyone who could have been viewed as a suitable replacement (his classic comment, “Stick with me; the next one will be worse” is only semi-humorous), and so now there is hardly anyone to choose from. 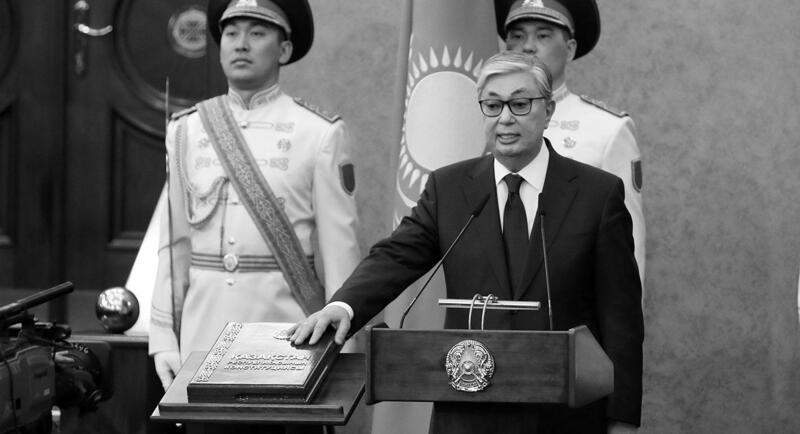 Under the Kazakh constitution, the chairman of the Senate, Kassym-Jomart Tokayev, will replace Nazarbayev for the rest of the presidential term, which ends in April next year. A career diplomat, he is very loyal to Nazarbayev, but he is 65 years old, which doesn’t fit in very well with Nazarbayev’s appeal in his farewell address for “the next generations to make Kazakhstan better,” and he probably isn’t tough enough to control the country’s warring clans (nearly all of which are made of up relatives of Nazarbayev). The majority of which is composed by Nazarbayev’s relatives. An obvious choice for successor is Nazarbayev’s oldest daughter Dariga, who on March 20 replaced Tokayev as speaker of the upper house of parliament, the second most powerful position in the nation. This constituted a significant promotion from her previous post as chair of the Senate committee on international affairs, defense and security, which sounded a lot more impressive than it was. Her father’s departure a year before the next election gives Dariga Nazarbayeva the chance to prove herself and become a legitimately elected president. It will also provide her with time to clear her name of various scandals, including ongoing accusations that she sent millions of dollars abroad, to her bank accounts in Austria. Nazarbayeva would certainly not repeal any laws concerning the security council or encroach on her father’s authority, while he would stay on as her tutor, keeping his hands on the wheel. The next year could also see the emergence of other candidates in Kazakhstan’s barren political landscape. The Kazakh opposition abroad has named Samat Abish, deputy head of the security council, as a possible successor. The 40-year-old Abish is Nazarbayev’s nephew, meaning that the former leader could still sleep easy. The opposition views Abish as a “Kazakh Putin.” But this option has its flaws, the main one being Abish’s lack of public profile. His promotion would require significant resources, but given the timeframe, it would not be impossible. Abish as president would, however, mean a silovik in charge, and that is something that Nazarbayev does not want to leave behind after his full departure later on: a young strongman at the helm could risk the country sliding into a dictatorship as opposed to comparatively mild authoritarianism. Other options are unlikely, but the candidacy of whoever eventually succeeds Nazarbayev will be agreed with Russia, China, and the West. Kazakhstan plays the role of a buffer zone between Moscow and Beijing, and following Nazarbayev’s visit to his U.S. counterpart Donald Trump last year, the U.S. also sees the country as its partner in Central Asia. Kazakhstan’s highest trade turnover is with the EU, so it’s in everybody’s interests for the power handover in Astana to take place as smoothly as possible, and with minimal changes. In transitioning to other positions, Nazarbayev has carved his name in history as a ruler who voluntarily stepped down from his post. This is a setback for his opponents (though they will argue that he hasn’t gone anywhere), but ordinary Kazakhs will see it in more black and white terms, rendering criticism of the leader of the nation harmless. Furthermore, Nazarbayev has rid himself of responsibility for certain aspects of his rule: the shooting of protesting oil workers in the town of Zhanaozen, rampant crime, and terrorist attacks in the city of Aktobe in 2011 and 2016. Now the evaluation of these events is only important for the purposes of history; they no longer pose a risk to the leader’s reputation or to the present. 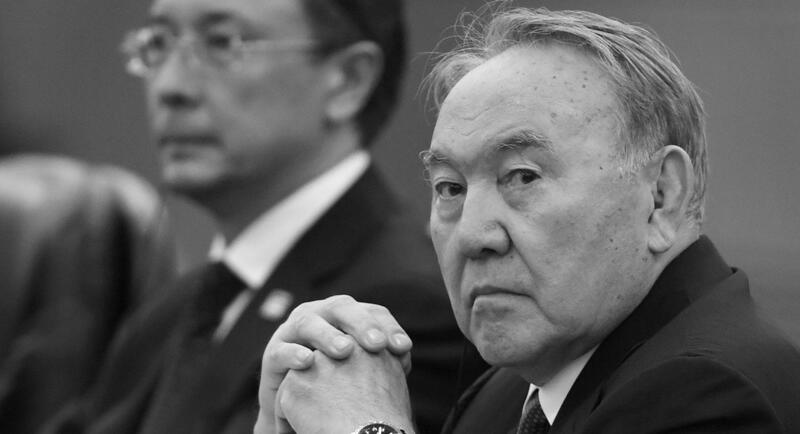 It’s interesting to note that Nazarbayev took with him to the security council the former minister of internal affairs, Kalmukhanbet Kasymov, who bears responsibility for both the Zhanaozen shootings and the crime wave. No one can accuse Nazarbayev of abandoning his allies. Anyone expecting to see significant change as a result of Nazarbayev’s resignation will be bitterly disappointed: he is not ready for that. Immediately after he announced the decision, Facebook stopped working again in Kazakhstan, as it often mysteriously does. Kazakh media will continue to work under harsh constraints, attending public rallies will not be worth the risk, criticizing the authorities will remain dangerous, and all staunch opposition activists will continue to live abroad, while their most active disciples inside the country will remain in prison. Nazarbayev may have switched to another chair, but the country is under orders to keep sitting just where it is.